Quick and delicious. Added lemon zest to up the lemon taste. Will make again! Made this with leftover chicken breast meat from yesterday's whole roast chicken. Very good, quick weeknight dinner, with very little effort required. Husband loved it! Perfectly fine, but not especially different from another favourite recipe similar to this. Some added veg might be a more rounded meal. Made this quickly one afternoon - essentially an easy quick meal to prepare. Serve with Thai rice. My 3 sons loved it! Just wish there was a bit more sauce. Quick easy and tasty. Great weeknight option. Ok, but not as flavourful as the ingredients would suggest. 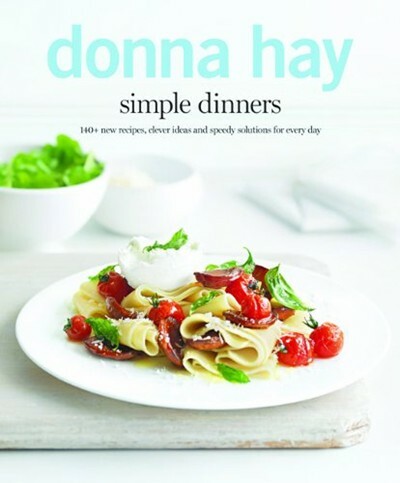 Whether it's noodles or rice from the pantry or vegies from the fridge, Donna's new book simple dinners will show you how to take everyday star ingredients and turn them into delicious weeknight dinners. Donna has always been of the school that if you have an egg in the fridge, you have a meal on the table. She takes the same approach to pantry items and fresh staples, from bread and pasta to canned beans and couscous. If you have these versatile basics on hand all you need to do is grab a few fresh ingredients on your way home and you have a quick and flavoursome dinner on the table. Divided into 13 chapters and categorised by a simple pantry or fridge ingredient as the starting point, book is also filled with handy tips and time-saving hints. There are over 140 new recipes that celebrate everyday kitchen ingredients and give you the confidence to make every weeknight a success.